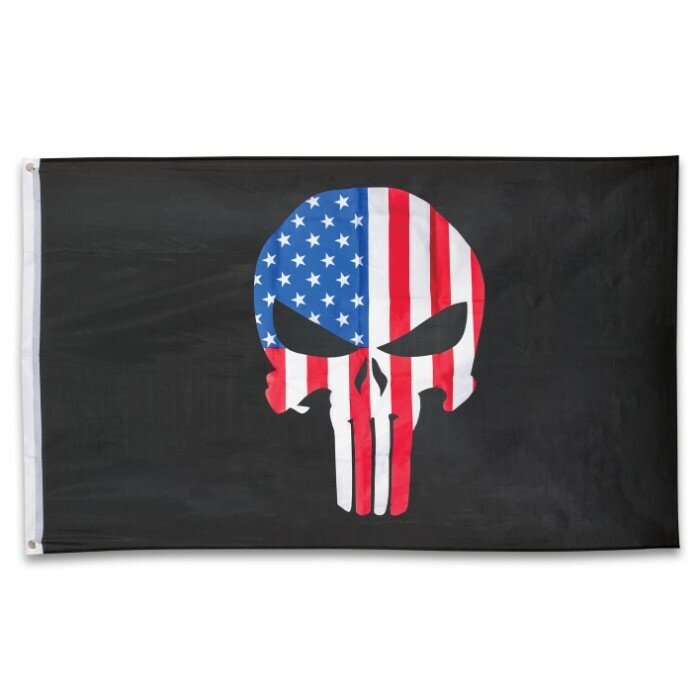 USA Punisher Flag - Polyester Construction, Dye Sublimated, Fade-Resistant, Hanging Grommets - Dimensions 3’x5’ | BUDK.com - Knives & Swords At The Lowest Prices! 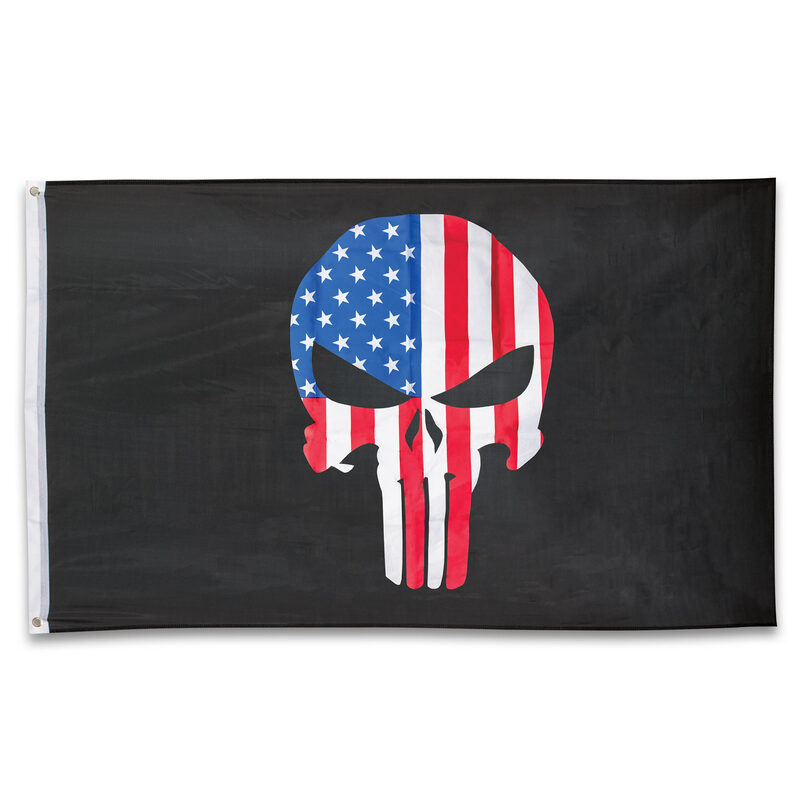 Display our patriotic USA Punisher Flag at your home, your cabin, on your boat or at your place of business. It features the Punisher Skull in an American flag design on a black background. The flag has a durable polyester construction with vivid, saturated colors that are dye sublimated so that they don’t fade. It also has reinforced metal grommets for hanging. This 3' x 5' flag screams attitude and looks great inside and out!